Grace Will Get You Crucified? Revisiting the dinner party scene of Luke 7, think for a moment about the religious onlookers and their response to Jesus’ display of mercy and grace towards the woman with her perfume. The scene offended those who witnessed it. It is pretty evident from the conversation recorded that Simon and his gang placed themselves in a different category morally than the intrusive guest. They also assumed Jesus must not be aware of her profession, or else, He too would have nothing to do with her. Simon’s problem was that he thought he didn’t have a problem. In reality, just noting, Jesus had to condescend to the same depth to enter his home as He did to receive the woman’s adoration, and doesn’t He have to do the same for every one of us? It seems Simon’s mindset was much like the older brother in the prodigal parable. Remember his anger when his father showed compassion to his younger sibling? Simon was treating this woman the same way because in his own mind he believed he was earning God’s respect with his religious efforts in a very similar manner as the older son valued his personal worth to his father. Grace is offensive to those who refuse to receive it, and those who refuse to receive it will always persecute its recipients. Grace is wild. Grace unsettles everything. Grace overflows the banks. Grace messes up your hair. Grace is not tame. In fact, unless we are making the devout nervous, we are not preaching grace as we ought. Grace, when taught as Jesus gives it brings out the worst in the legalistic, but the attempts to restrain it is not limited there only, for don’t we all contend personally against grace’s enemies. Don’t we desperately try to prove that what we contribute has some added value. The grace Jesus gives has no bartering system attached. This type of grace leaves us no longer needing to prove anything to anyone. The woman with the perfume knew perfectly well the hostile environment she was walking into. It leaves us secured, our actions no longer weighing our worth, fully justified in God’s sight… in Christ Jesus. It seems this grace makes us free… free indeed. 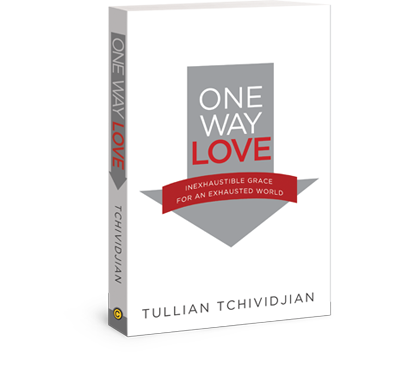 This entry was posted in Books, Law and Grace and tagged authentic grace, Christianity, inspiration, persecution, Religion and Spirituality, saving grace, Tullian Tchividjian, unconditional grace God. Bookmark the permalink. 15 Responses to Grace Will Get You Crucified? Thank you for your like of my post on, “Meaningful Words.” You are very kind. Not having to do anything and wanting to do everything because of it. What a great way to explain the relationship between God’s grace and humanity. It’s simultaneously one of the most beautiful things about belief, and the scariest. But it all comes back to grace and the free will to accept it. I don’t know about you but I find myself living amongst some very unforgiving people who believe themselves to be judge and jury over everyone in their circle of influence. Yet, they seek exactly what they are not willing to give, a kindness born out of compassion. True… true, and how I wish I weren’t all too often that one you speak of. Hmmm… Great to see you good friend and many blessings to you today! I wish I weren’t speaking of myself too. Family health issues and a busy job schedule are keeping me from writing but not hmmming and jotting those thoughts to any scrap of paper available. Like a big can of mace! To the Giver of grace! I canst bear its fall! Good then… very good then. Ditto! Inspired by TT’s work. Thanks for the nod, our friend. Many blessings.